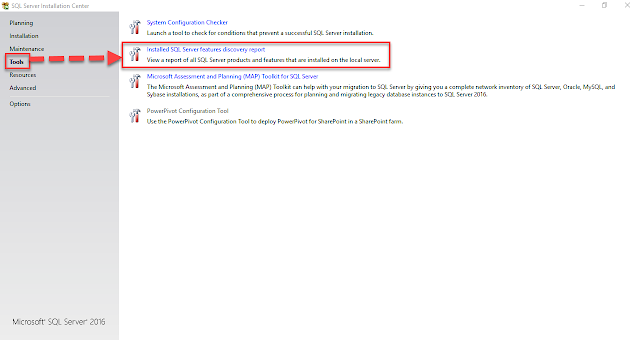 Step 1: Open "SQL Server Installation Centre" from Microsoft SQL Server folder. Step 2: Click on "Tools" and then click on "Installed SQL Server features discovery report". 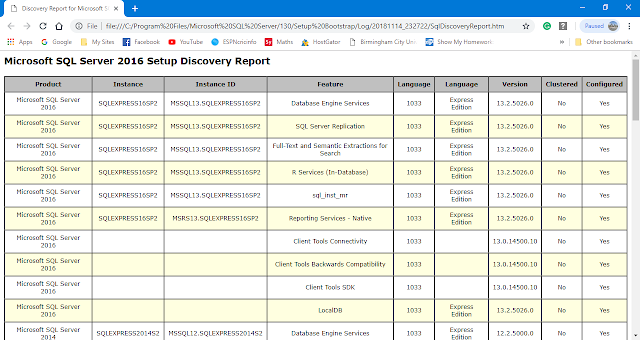 This will open the report in Web Browser as shown below.